The group covered numerous topics during the discussion and the word “partnerships” came up time and time again. It was interesting to hear how these leaders are leveraging partnerships to support more effective growth strategies. Skilled nursing facilities and assisted care facilities are business models that we don’t necessarily want to get into, but we can utilize partnerships to create access to the resources we need to better manage chronic or complex patients. 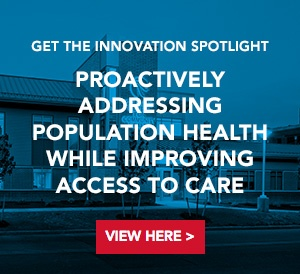 Specialty centers such as children’s hospitals are interested in partners that value the unique services the hospital brings forward, particularly those that allow them to become more involved in lower-level acuity activities, giving them greater access to a larger population. We also heard how some partnerships are allowing health systems to expand their presence geographically, without having to invest a large amount of capital. Using third party sources to help cover a broader footprint allows capital to be conserved for investing in a denser footprint on main medical campuses. These partnerships can also be an effective entry strategy into a new region, allowing organizations to assess whether it is in their best interest to make a capital investment that would allow for more effective brand integration, or utilize third party facilities in a test market.